NORWALK – Norwalk will light its Christmas tree this Saturday at its annual SnowFest community festival on the City Hall lawn. 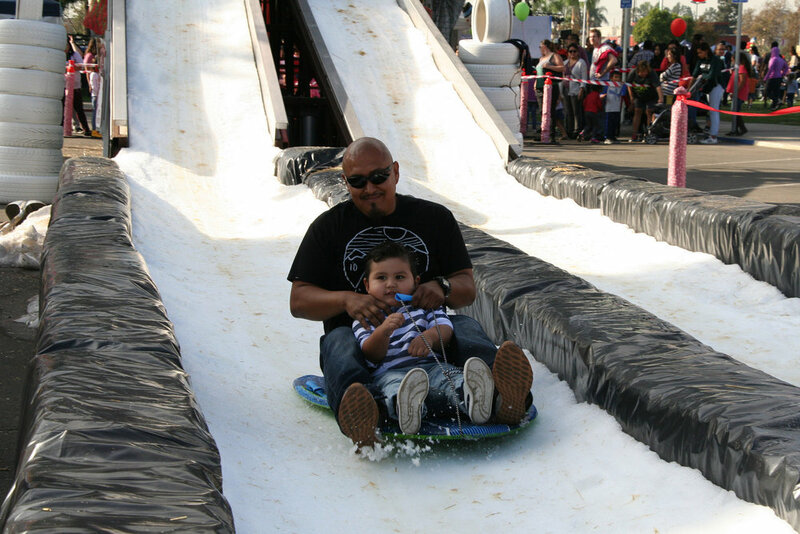 Families can enjoy snow slides, a snow play area, game booths, reindeer races, arts and crafts, face painting, and more. Local entertainers will perform on stage throughout the event and food will be available for purchase. While there, residents can visit the “Community Connect” booth from 12-5 p.m. for access to free resources. Meet with utility representatives, including Southern California Edison, Southern California Gas, Golden State Water, and Liberty Utilities to learn ways to reduce their energy and water use. Free gas-saving kits, faucet aerators, and low-flow hose nozzles will be given away so residents should bring their utility bills. In addition, the first 180 households who bring in two old strangs of holiday lights, along with their Edison bill and valid ID, will receive two new strands of LED holiday lights. For questions or more information, call the Recreation Department at (562) 929-5702.